Okay, not entirely getting the meaning of this one. (Blame the new Kindle and the ability to download free books until wee hours of the morning.) 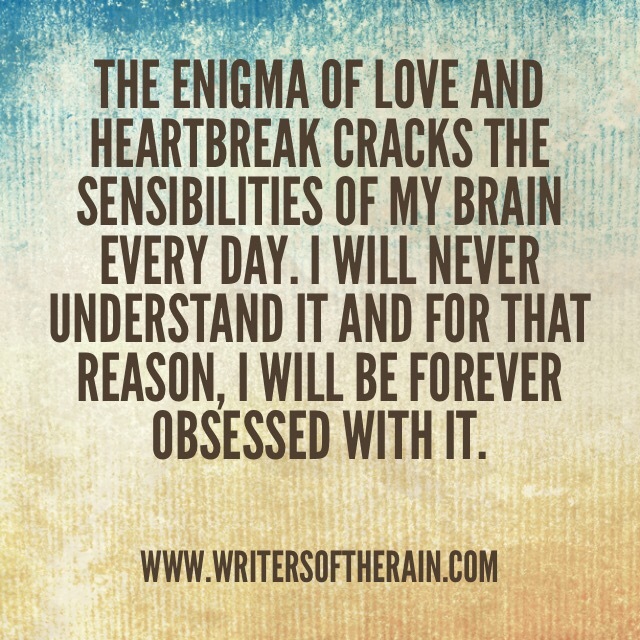 The enigma of love and heartbreak? I never found love all that enigmatic. I do wonder though that we choose to love at all because, once we’ve felt the heartbreak, it truly makes one twice shy.